How smart really is “smart manufacturing” and what’s next for Industry 4.0? Industry 4.0, or the “Fourth Industrial Revolution”, is widely being heralded as the key for manufacturers to unlock cost reductions and galvanise new efficiencies. 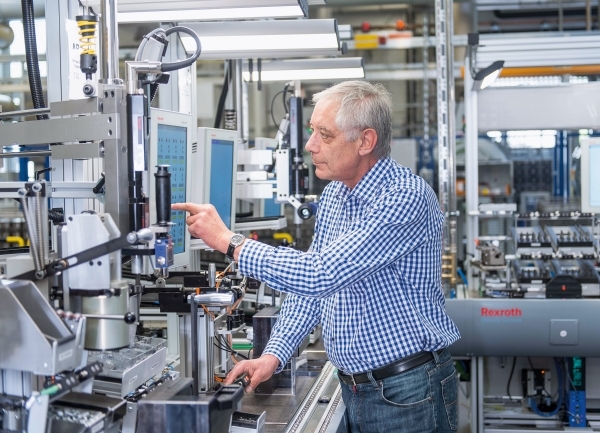 We asked Andrew Minturn from Bosch Rexroth, to explain these benefits and whether connected manufacturing and smart factories have genuinely been put to the test. What does Industry 4.0 mean for Bosch? For us, Industry 4.0 means cyber-connected manufacturing systems that are improving efficiency and optimising operations. Also known as the “Industrial Internet of Things” and “Smart Manufacturing”, it has the potential to centrally change the way manufacturers and industrial companies run their business. It means using the power of the internet to link machines, sensors, computers and people to boost levels of data monitoring, processing, and analysis. Which markets and regions do you see as seizing the opportunity? Manufacturers are starting to embrace the concept and to understand the benefits in Europe and North America in particular. In the UK, the opportunity is great. 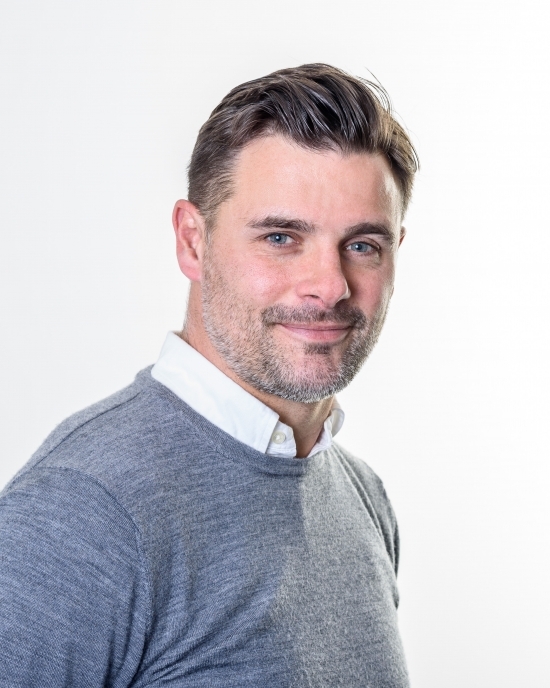 Research has shown that almost 60 per cent of manufacturers in the UK recognise the impact that the fourth industrial revolution will have on the sector but only 8 per cent have a significant understanding of it. Can you provide any examples of Industry 4.0 actually making a difference? Absolutely. Bosch’s factory in Homburg in southern Germany achieved a 10 per cent output increase and 30 per cent stock reduction within a year through the deployment of Industry 4.0. The plant, which manufactures hydraulic valves for mobile machinery such as tractors, had a manual production line that was manufacturing six main valve product types with 250 variants and 2,000 individual parts. Bosch needed to improve cost and delivery times for a line that also needed to remain highly flexible, working with small batch sizes and requiring assembly experts for each product family. What precise changes did the plant implement to roll out connected technology? Bosch set up nine autonomous intelligent workstations that could quickly switch between products as required. To facilitate the quick learning of manual work steps, we employed our ActiveAssist assembly technology. The system used pick-to-light technology to guide assembly steps, eliminate errors and check all assemblies via a 3D camera. By combining this technology with radio-frequency identification (RFID) of each single product we ensured that workers could pick only the necessary components for the new run. Each workstation recognised employees via a Bluetooth tag and every step of the process was recorded and relayed to production operatives in real-time using RFID chips to monitor the position of individual components. ActiveAssist also made a difference by ensuring that all workers received exact instruction tailored to their qualification level and preferred language. Can you tell me any more specifics about the results this approach achieved in Germany? Smart technology allowed the Homburg staff to reduce logistical and set-up time from 450 seconds to zero within the space of a year. Inventory days were halved and cycle times were cut by 8 per cent. The result for the plant was a saving of €500,000 in the first year alone. We are implementing Industry 4.0 solutions to the next steps in our value stream. Having started with valve assembly Bosch is now looking at the machining area and will follow up with the valve test area. We are certain there are huge potential benefits from connecting the worker, machine and material in industrial production in this way. What do manufacturers need to know to be able to embrace Industry 4.0? An absolutely key enabler for Industry 4.0 is talent and training. Industry 4.0 is placing new demands on industrial workers, who need broader knowledge of manufacturing workflows due to the interconnected nature of processes. To address this, companies need to start integrating Industry 4.0 content into their training programmes. At our Homburg plant apprentices are trained on smart manufacturing systems from their first year. Another imperative is for machines and systems to become smart. And, as yet, many aren’t. Often, manufacturing equipment lacks the necessary sensors, software and connections to companies’ IT systems and importantly out to the supply chains and customer base. Industry needs connected machines and systems if it is to be successful over the long term, so retrofit solutions provided by Bosch will be pivotal to unlocking the full potential of Industry 4.0. Are there other ways that Industry 4.0 can help, beyond efficiency? Industry 4.0 also saves costs is by enabling preventative maintenance. New connected technologies are opening up all kinds of benefits, from improved, targeted work schedules through to decreased machine downtimes and repair times. Preventative maintenance is the pre-emptive planning and execution of maintenance measures before damage or machine failures occur. How can Industry 4.0 technology highlight maintenance requirements before they occur? The three key ways in which smart technology can reduce costs are by enabling real-time condition monitoring; flexible evaluation and analysis options and targeted notification of relevant experts. Through real-time condition monitoring Industry 4.0 software continuously records the most important information. Sensors record machine data providing necessary visualisation to tablets, smartphones, on-site and in the cloud, making real-time maintenance data accessible anywhere and at any time. Industry 4.0 software is also designed to allow maintenance technicians to create rules that trigger notices of forthcoming maintenance requirements. This also means both that maintenance is performed only when it is actually required and that unscheduled machine stoppages are immediately displayed with notifications to the right people. How significant is the opportunity of Industry 4.0? Industry 4.0 is being driven, in addition to cost and productivity pressures, by the need to increase quality and delivery despite customers’ increasingly individualised wishes and shortened delivery time requirements. This has led to significant breakthroughs in 3-D printing, IoT nanotechnology and robotics. The potential is vast. For example, a global think-thank has estimated that the IoT could create up to US $3.7 trillion a year in economic impact to factories alone by 2025. The same research has also found that currently the opportunity of most IoT data remains under-utilised. On an oil rig that has 30,000 sensors, for example, only about 1 per cent of the data is examined. This is a missed opportunity for both optimising processes and improving predictions.